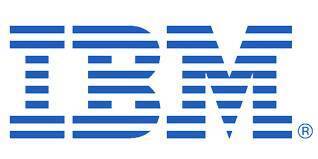 The Bromont plant, located 80 kilometres east of Montréal, is IBM’s largest semiconductor assembly and testing facility and its only manufacturing plant in Canada. By adopting accredited certification to ISO 50001, IBM Bromont achieved 9.2% energy conservation and saved CAD $550,000 in 2013. The plant averaged an annual reduction in total energy use of more than 8% between 2004 and 2013 – almost double the corporate IBM goal of a 4% reduction in annual energy consumption of electricity and natural gas. These energy savings have reduced the plant’s energy bill by $5,925,000 since 2004. Ongoing conservation efforts have delivered electrical energy savings of more than 25% as compared with electricity consumption in 2008. The plant’s focus on reducing energy use has enabled a 59% reduction in greenhouse gas emissions in relation to the 1990 reference year and a 24% reduction in relation to 2005. Further information is available in this factsheet on the Clean Energy Ministerial website.